Practips: How are you spending your first day of summer? How are you spending your first day of summer? Here it is -- summer! Where I am, in South Carolina, summer has shown up early. 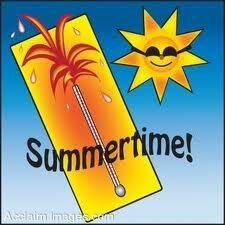 To say that today is the first day of summer seems late because it has already been so hot. How are you spending your first day of summer? This is the longest day of the year, so are you planning to get a lot more done today? I plan to get busy with...well...planning. Sounds boring to some, but to me it means that I'll get our homeschool daily schedule mapped out, I'll get an event at church planned, and I'll be one step closer to releasing the Manners of the Heart curriculum for the fall. While there is still only 24 hours in this day, with more daylight maybe we all can get a little more done. Share your plans by commenting below. Have a great first day of summer AND a great summer!! Remember to sign up for our $10 Starbucks gift card giveaway!